Do you want to take a minute to sit down, relax and earn some extra money, but don’t have the time to do so? Now with Titan Trade’s mobile trading platform, you can engage with your trading activities anytime, anywhere, so you can trade the markets and earn huge profits even while you’re busy. 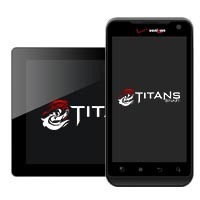 You can access our Titan Trade mobile site anywhere that there’s an available Internet connection and a working mobile device, smartphone or tablet. Just key in our website URL into your mobile browser and you’ll be given instant access to our mobile trading platform. You can check the markets, stay up-to-date with global market trends, deposit funds, execute trades and view your transaction history all from the comfort of your mobile device. There’s no need to download additional software or attach bulky cords to get you started, Titan Trade mobile platform gives you the power to stay on top of your trades without being tied down to a desk. You can outsmart the markets with your mobile device! Get real and fair price quotes, absolute mobility and real profits. Our mobile trading platform grants you the freedom to trade and earn on the go, so that no matter where you are, you are still profiting. Take advantage of our mobile trading platform today to give your trades the boost you’ve been looking for. No longer do you need to block off time away from your family or office to trade, with Titan Trade mobile site, you can trade in the time that’s right for you. Our mobile trading site saves time, offers total convenience and features the complete functionality of its web-based counterpart. What’s more, it’s absolutely free of charge to all Titan Trade members! We fully understand the importance of 24/7 access to the global financial markets. To this end, we developed the most powerful, innovative and advanced mobile platform for binary options trading. 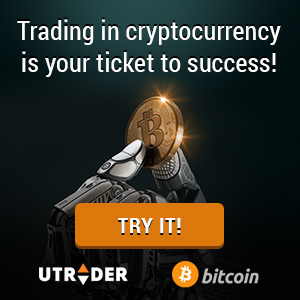 Maximize your trading potential as you take advantage of the market fluctuations from any place at any time, deliver accurate trading decisions as our live and dynamic charts interpret your trades, open and close trades with instant execution, view your full trade history within a few minutes and optimize your trading skills with our range of unique Titan Trade trading tools. With Titan Trade mobile, you’re now able to seize the moment and execute your live trades with the industry’s most cutting-edge mobile trading platform. Have questions about our mobile platform? Click here to contact us! Gone are the days where you had to sit in front of your personal computer or laptop and watch your screen to figure out and decide how you wanted to invest. By becoming a mobile trader, you’ll receive all the same features that are incorporated in our main site. Furthermore, you no longer have to trade on someone else’s timetable. Titan Trade mobile is open 24/7, so you can trade your preferred assets during the time that’s right for you. The freedom to trade and earn on the move is now in your reach, visit our mobile site today to earn real profits!